A Boston summer brings a bevy of wonderful can’t miss events and activities. We’ve compiled a list of events that have become beloved summer traditions. Starting in June and running through the end of August is the WBZ Free Friday Flicks at The Hatch Shell on the Charles River. Come sunset the lawn becomes a sea of picnic blankets and beach chairs full of big and small movie goers. Don’t forget to bring your favorite snack to munch on! 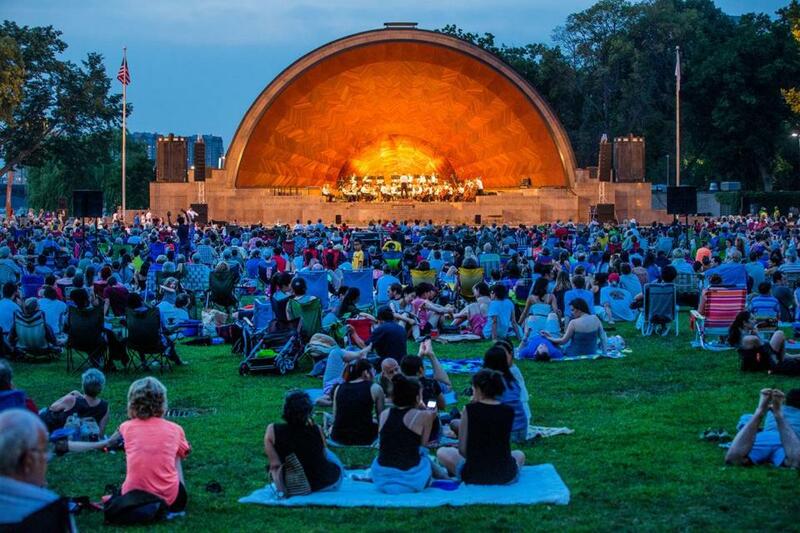 Another event not to miss at the Hatch Shell is the Landmarks Orchestra Classical concerts. The orchestra founded in 2001, by conductor Charles Ansbacher, is a collation of some of the finest professional musicians in Boston. Running through July and August on Thursday nights, the free concerts began in 2007 and have seen attendance grow every summer. Boston’s waterfront is a cool respite of sea breezes and sail boats. The Harborwalk beginning in Charlestown and winding south towards Carson Beach covers beaches, public art, historical sites, wharves, and museums. It’s along the walk that you will find the Boston Harbor Hotel. Every year the hotel presents its Summer in the City entertainment events. Tuesday through Thursday bands take over the floating barge (yes, barge) and delight audiences with Pop, Rat Pack, or Blues (depending on the day). On Fridays and enjoy a classic movie on Friday evenings at dusk. An absolute favorite among locals is Harborwalk Sounds in conjunction with ICA Free Thursday Nights at the Institute of Contemporary Art. Running June 30th through September 1st, the ICA offers live music of all genres from 6:00pm to 8:30pm. Visitors sit and relax on the steps of the museum’s Grandstand, drink in hand, listening to Berklee College of Music’s plethora of talent. The tunes are infectious, the food is delicious, and the spectacular Harbor view is the perfect dessert! Boston takes care of its literary enthusiasts as well. If the boring beach paperback in your bag isn’t cutting it for you and you crave linguistic substance, Shakespeare is your answer. Since 1996, The Commonwealth Shakespeare Company puts on full productions in the Boston Common July through August. This year’s production of Love’s Labour Lost begins July 20th. No matter what you prefer, Boston has an event for everyone!